Korea’s heartthrob Shin Hye-sung is going on his third Asian tour, starting with his May 2nd concert in Seoul. In addition to his huge popularity as a member of the longest-running idol group “Shinhwa,” his successful solo career earned him numerous fans all over Asia. His concert will feature a repertoire of his hits, remakes, and adaptations, as well as surprise guest stars. The Seoul concert is going to be the start of another very impressive music tour for sweet-voiced Shin. 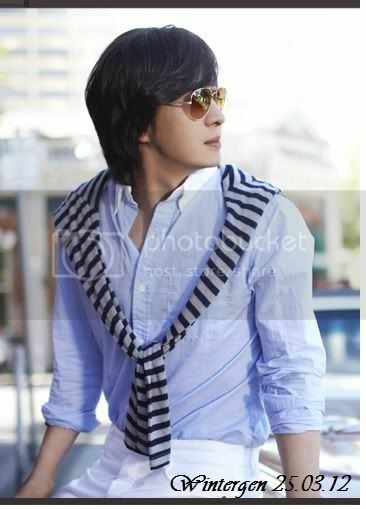 Andy (Lee Seon-ho, 28) a member of the pop band Shinhwa, will hold his first solo concert and fan meeting in Taiwan. The concert “Lee Seon-ho The First New Dream in Taipei” will be held on March 29 at 7 p.m. at the Taiwan International Convention Center (TICC). Andy last visited Taiwan in early 2000 to promote Shinhwa’s third album. Since 2006, Andy has been performing as a solo singer, entertainer and musical actor and has fan clubs in China, Taiwan and Thailand. His online fan community in Taiwan boasts 30,000 members. Andy is currently promoting the new band “Jumper” that he is forming. He will also release his second solo album in the first half of the year.